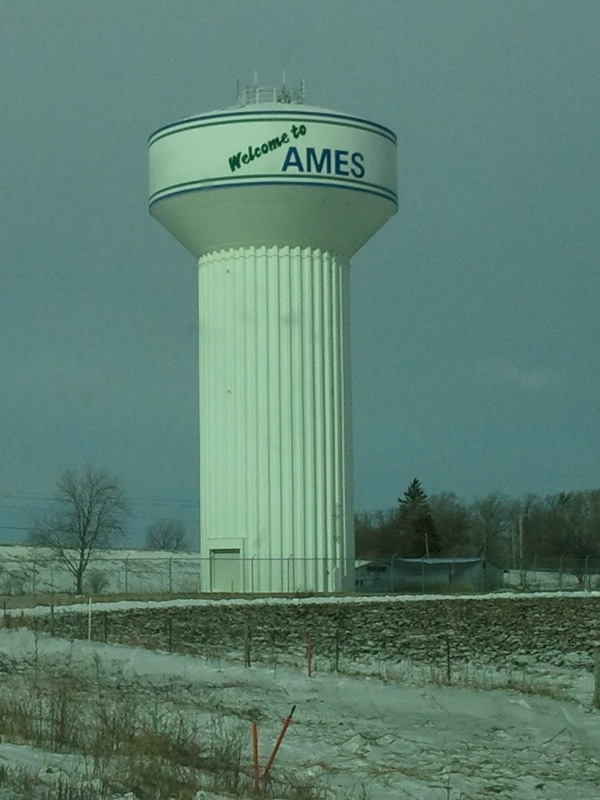 Welcome to Ames, Iowa, the home of Iowa State University and the famously inaccurate Iowa Straw Poll. Every year the trip to Ames worms its way onto my calendar. Not that life's so terrible, it's a good basketball team in a really good basketball venue at Hilton Coliseum. But you can cut and paste the above picture for just about every Iowa State trip I've ever made during hoops season. There's going to be temperatures in the teens, wind gusts in the twenties, and a thin-to-medium layer of snow and/or ice on the roads. It will be bleak, but a sliver of sun can change your whole mood. I say this mantra about most Big 12 towns, it's not too bad once you get there. A late dinner at the West Towne Pub yielded some surprisingly good bar food and a solid local IPA, Hop Wrangler from the Peace Tree Brewing Co. in Knoxville, IA. And of course the lunch staple is Wallaby's, one of the best college town bar and grilles in the nation. Another thing you can count on at Iowa State is they'll win at home. Especially since Fred Hoiberg returned to coach his alma mater. And they're having another fine season, even though Royce White left school early for the NBA - though he hasn't played in the NBA - but that's a story for another blog post. On this trip, the Cyclones defeated Baylor for their 19th straight home win, and 11th straight home win in the Big 12. And Kansas even lost at home today, so that's pretty impressive. They call it Hilton Magic, where Iowa State repeatedly stymie opponents. There was even a sign declaring "six more weeks of Hilton Magic." And it snowed 3+ inches outside while the sellout crowd cheered another Cyclone home win. Groundhog Day indeed.